What brought you to a career in social work? How do your training and personal experiences shape your work? A variety of personal experiences led me to my career in social work. Initially, a trip to volunteer in India after graduation from high school sparked my interest in the field. After being exposed to immense poverty and violence, I felt a desire to help underprivileged and marginalized communities in my own home country. After returning to the United States, I volunteered with the International Rescue Committee as a mentor and tutor to teenage refugees from Myanmar, Somalia, and other countries.This experience reinforced my love for helping those in my own community facing numerous struggles. I learned so much from the youth that I worked with, and my own worldview and perspectives changed in many ways. Finally, another significant personal experience that influenced my decision to enter a career in social work was my personal experience with mental illness. After experiencing a temporary psychotic break at 19 years old, followed by a period of severe depression, I felt a strong desire to use my experience facing and overcoming mental illness to help others who are in the midst of their own battle. My personal experiences heavily influence my professional work, I believe, in a positive way. 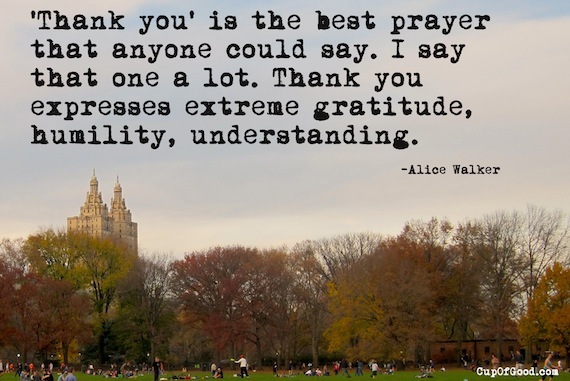 Experiencing my own struggles, and helping others overcome theirs, has provided me with insight and understanding on how to help others facing many social, environmental, and psychological problems through therapy and case management. Sometimes when I lose motivation or become overwhelmed by the challenges that arise during my work, I reflect on the strength, determination, and hope of the refugees and many families that I have encountered facing great obstacles, and this helps me to overcome the burnout that often accompanies social work. How do you identify as a feminist? How does your feminist identity add to your work? There are many definitions of feminist, but to me it has always meant to be a believer and advocate of equal rights and treatment of women. Even though I consider myself a feminist, I am still in the process of learning about the many inequalities we as women face. 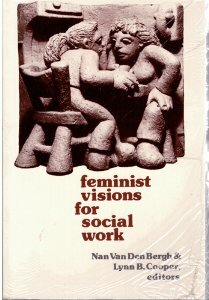 My role as a feminist is very important in my role as a social worker and therapist. In my current position, one role that I hold is to work with depressed mothers, and the other is to work with children with behavioral issues with their parents in family therapy. In both roles, I regularly encounter social and structural inequalities, prejudices, and gender roles that negatively impact the family system and the women in the family. Part of my work is to assist families and parents in recognizing dynamics that may be unhealthy, including traditional gender roles that make many of the depressed mothers feel “trapped.” Many of the depressed women I see are in unhealthy relationships with their spouses/partners, which often includes forms of emotional and physical abuse. Additionally, I often find myself supporting mothers and women in trusting in their strength as a woman and empowering them to challenge the social systems in their life that may be contributing to their oppression. When working with families, I find myself assisting parents in challenging their perspectives of the roles of women and men within the family in order to create a more healthy family system. This might include helping parents challenge their beliefs in order to allow the mother to contribute equally in decision making or disciplining the children, while supporting the father in stepping back and supporting the needs of the wife by providing equal support in household chores and childcare. How is your work with women the same as or different than your work with men? In my position I often encounter more women than men since much of my work is exclusively with mothers. Additionally, when I work with families, many of the males are at work during the day and do not participate in the therapy sessions. However, I try to incorporate the fathers of the children in therapy as much as possible and express my belief in the importance of their participation. When I work with both parents, I often teach parenting skills to both at the same time and practice with them in session. This work is more educational and looks very similar with women/men. However, as previously mentioned, when working with families I tend to encounter many ingrained systems of belief that do not value equal rights/treatment of women, and often part of my work is to advocate for women within this context and support their needs within the family. Additionally, when working with depressed mothers, I encounter a variety of issues that are related more uniquely to women, including symptoms of depression/anxiety due to negative beliefs re: self-image, multi-generational family systems based on a dominant male figure/submissive female figure, the feeling of being unable to express themselves in the way that they want because they need to conform to traditional gender roles, and much more. How does your feminism influence how you work with families? Feminism is very influential in my work with families. Mainly, many family systems are based on gender roles that can be unhealthy or non-supportive of both a woman’s needs/wants/desires. Many of these roles are so ingrained in our culture and in the belief system of my clients that they are unaware of its possible negative influence. When working with families, it is very common that I encounter women and men with the belief system that the father is the “head of the household,” the main disciplinarian, and has the final say in family decisions. The voice of women and children is often overlooked and ignored. Many mothers that I see believe that they will be disrespectful to their husbands if they disagree with them, and I often work with them to create a different definition of “respect” that incorporates their rights and value while respecting their culture and religion. Also, domestic violence is very common in the families that I work with, and often is connected to a belief system that a man is dominant and a wife should be submissive. When working with families, I try to help all members find their voice to express their wants/needs and assist both parents in providing equal amount of both discipline and affection for their children. Often, my work inevitably consists of helping many women make plans to try to escape from a violent and/or controlling relationship. In these cases, I also incorporate feminism by trying to help empower these women to understand their significant value and strength as a woman and person. Provincetown Art Association which featured selections from her latest collection of poems, Dog Songs. The reading took place at the Church of St. Luke in the Fields in Greenwich Village on Wednesday, Oct. 9. About 100 people filled the sanctuary to hear the author read from her newest book and attend a brief reception afterward. 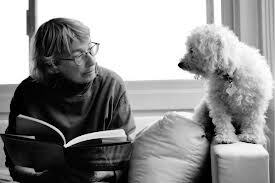 Oliver read for about 45 minutes from Dog Songs and a few of her older books, adding supplemental stories to each poem she picked. Although I wondered if the subject matter of dogs would make for a less-complex collection than her previous work, this latest release from Oliver is just as wise and profound as her previous collections. Oliver’s poetry regularly focuses on themes of nature and spirituality and this new book of poetry is no different. Themes found in her other work, such as forgiveness, loss, love, solitude, companionship also weave their way into this collection of poems. The focus on dogs becomes a new way through which Oliver invites her readers to relate and understand her greater messages. 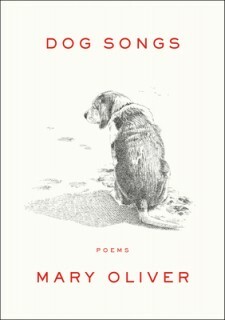 Additionally, the trope of long walks that appears so often in her poems works exceptionally well in a book of poems devoted to canine companions. Indeed, the focus of the book is celebrating dogs for their companionship, loyalty, and joy. This collection is not an assortment of simple, straightforward stories about dogs. Dog Songs tells the rich tales of life found in Oliver’s other work that happen to be told through her experiences with her many dogs. Oliver’s poetry is known for its accessibility; the focus on pets in this volume provides yet another way for her audience to access the perennial themes of her work–countless readers will be able to relate to the experiences of having a dog and thereby enter her deep realms of understanding. Oliver’s presence at the reading was striking. 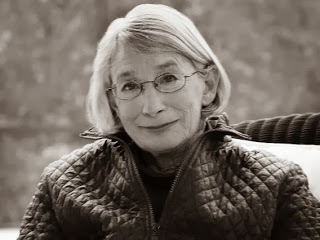 She is a Pulitzer Prize (for American Primitive) and National Book Award winner (New and Selected Poems), as well as many other words. She read calmly but firmly to an adoring and grateful audience. “This is a poem about Percy. This is a poem about more than Percy. 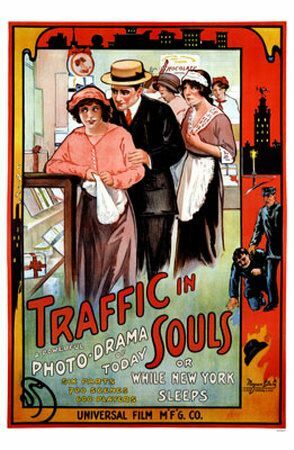 White slave films like Traffic in Souls (Universal 1913) were all the rage in the early Progressive Era in the United States. White slavery (forced prostitution of immigrants) was a topic of great concern during this time and in the years before World War I, became the focus of both government and non-government moral panic. 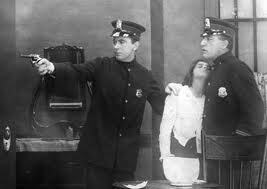 While legislators pushed laws condemning the forced prostitution of immigrant women, reform-minded groups used whatever means they could to reinforce traditional family structure, and what they considered to be “middle-class values.” Directors and theater owners also joined the hype by creating and featuring films (purportedly) designed to combat this societal ill from the cinematic front. Nickelodeons and motion picture palaces had always attracted lower-class and immigrant audiences. The price of a Nickelodeon movie was cheap enough for an immigrant’s income and the length of the feature not so long that s/he would have to miss work. Although theaters’ incomes were largely supported by this working-class demographic, around the beginning of the twentieth century theaters began attempting to attract what they thought was a more “respectable” class, namely women who were part of wealthier families than the newly designated “blue-collar” workers. Only upper and middle class women were considered a part of this suddenly-valuable “respectable” demographic; the lower-class women, even though they continued to frequent theaters, became the fodder for the productions rather than valued customers. In many ways, the new “respectable women” were the foils to the lower-class immigrant women portrayed in the white-slave films, who were forced into compromising positions due to their poverty and need to work. In Traffic in Souls, working women were portrayed as being in harm’s way simply for leaving their homes. The continuation of this logic is that they should stay home instead of attending films. Lower-class women viewing Traffic in Souls and other white-slavery films saw people like them portrayed as passive victims in a cruel society. Their only hope for safety was to become more “respectable” like their wealthier counterparts. As they endeavored to ‘clean up’ the theaters, filmmakers (and the theaters who featured their work) were focused on ‘educating’ and ‘enlightening’ those of the lower and immigrant class who came to see their work. Traffic in Souls was defended as a kind of ‘reform document,’ intended to warn immigrant women about the dangers inherent in working outside of the home, especially in an urban area. Later scholarship has been ambivalent about George Loane Tucker’s true intentions in making the film, many historians stating that his goals were more related to the huge box office numbers than actually producing an educational, moral document. Whatever Tucker’s reason, Traffic in Souls was a sensational hit. 30,000 people saw it during its opening week in New York and white-slave films were soon being shown all over the city. As Shelley Stamp writes in Movie-Struck Girls, 15 New York theaters had “gone into slavery” by 1914, because they knew these types of films would be instant hits. They remained the hype for about a year. Even famed director Alice Guy Blache made a film as part of the white-slave hype. Many white-slave films, including Traffic in Souls, came under intense scrutiny because of their subject matter. Even though Traffic in Souls was promoted as a reform document, it was considered indecent from its beginnings. On the day that it opened in New York, police raided the theater and stole the film. The police followed the film to new theaters, where they did much the same thing. While theaters that carried the film argued that, since they took a firm stand against white slavery, they were doing the ‘decent’ thing, censors said they were playing into social hysteria and promoting indecent content. Today, many scholars have decided that they exploited the sensationalism surrounding white slavery in order to make a profit. 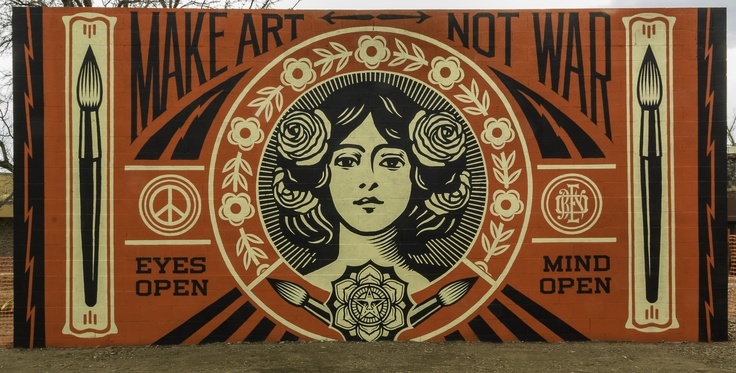 Welcome to ART as a form of ACTIVISM Issue! Welcome to our Art as a Form of Activism Issue! Our November issue is dedicated to poets, filmmakers, writers, visual artists, and feminists who utilize art as a means to inspire and empower. From the classroom, to the streets, or behind a camera lens, words and themes of self- empowerment, feminism, and activism are being spread to individuals around the world. We wanted to highlight those who are devoted activists and artists. A piece by Re/Visionist co-editor Tiffany Williams that looks at two black women independent filmmakers and how they allow black women subjects occupy space in film. An analysis of Mary Magdalene in medieval art by women’s-history student Kaitlyn Kohr. Welcome to the THANK A FEMINIST Issue! Welcome to our Thank a Feminist Issue! We are happy to introduce a new editorial year of Re/Visionist! The editors wanted to begin the 2013-2014 academic year on a note of gratitude, so we decided to devote our entire Sept./Oct. issue to thanking the feminist inspirations in our lives. The inspirational people/ideas/icons included in this issue are from both the past and present; some we know well, some we admire from afar. Some are self-identified feminists, others would not use that label. In a world hostile to feminism and queerness, what matters more than what our inspiration looks like is finding it in ways both expected and unexpected. As always, we welcome your suggestions and contributions. eegger(at)gm(dot)slc(dot)edu/twilliams(at)gm(dot)slc(dot)edu.